So, they’ve asked me to write a blog. I’ve got plenty of adventures stored up on paper so maybe some sort of anthology is in order! 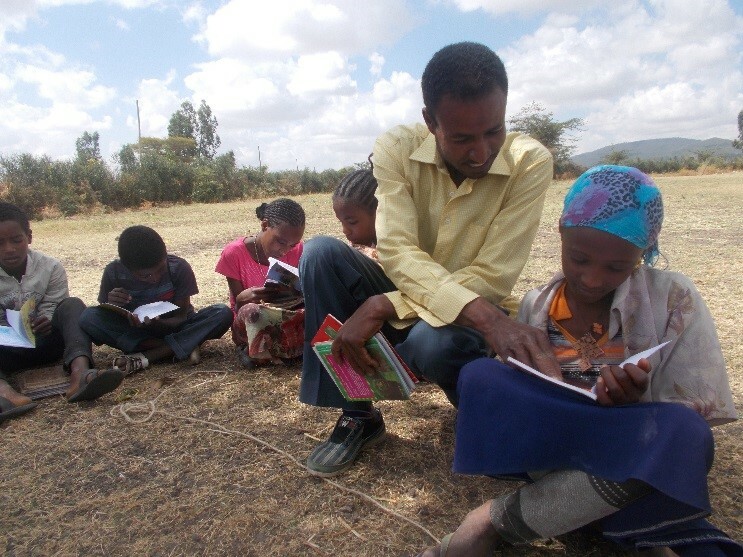 Here are my experiences so far with Link Ethiopia, the wonderful charity with whom I’m volunteering in Bishoftu. I’ll start by telling you about the schools and libraries. One reason why it’s important for kids to read is so that they can balance out the “facts” and politics they’re taught with creative thinking. In the UK, reading stories is something which happens from the minute you’re born. Yet here, that’s not really the case. 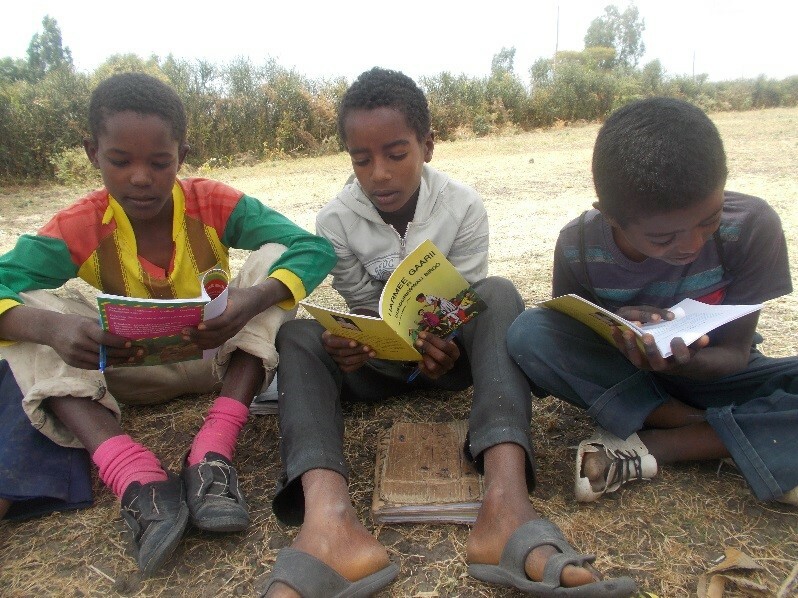 Sure, a few of them know a traditional Ethiopian tale or two and a couple have read the occasional novel here and there, but when I ask what ‘what have you read?’, the majority reply with things like “textbooks”, “history” and “non-fiction.” Where’s the fun in that? Where’s the creativity? It’s clear that these kids have got imaginations – how could they not, in a place like this? They just need to let those imaginations run free, and develop a new outlook which helps them realise that being creative and telling stories is not a waste of time. That’s what we’re working on together. During the first week of class, we spent a lesson-and-a-half creating our own characters and character backgrounds before a few of the girls asked if we could change the topic. It seems that the girls lack the drive for creativity even more so than the boys, who thankfully get stuck in with this kind of thing. So over the last few lessons we’ve been doing something called “What’s Next?” in which I give them the introduction to a story and they’ve got to write down what happens next, with illustrations of course. A lot of the kids have been finding inspiration from their favourite television and movies from America, which definitely helps when they come to write a story. We have got some cracking stuff, although we’ve only heard from the boys so far – I’m pretty sure one group of girls has written nothing at all because they don’t see the point. They did draw a funky picture of me though, so thanks for that! People need to read stories, especially kids, so they can learn about the world around them in a different way. “Oh, but we’ve got Geography textbooks galore!” Yeah, that’s great – we can read about how many square kilometres the rainforest takes up or the population of China – but we’re not learning about characters! About people! How do we share our life experiences and relate to others? By telling stories. Therefore, getting these kids to pick up a story and actually want to read it will be beneficial. If you walk around a school in England, one of the most dominant places you’ll find will be the library. A room stacked wall to wall, floor to ceiling, with stories! Now, I’m not saying that libraries are always fun, because let’s face it, they’re not. While I was at school, I don’t think I ever once willingly chose a book from the library, but that’s because the ideas we are fed about libraries are so dull – too much paper, too many written words and not enough spoken. Risk opening your mouth in a library and you’ll get a disgruntled librarian telling you to be quiet! Who wants to spend their time there? No-one that I can think of. But that’s because we’re so used to hearing stories and reading books anyway, that we take the place for granted. In contrast, the kids here don’t have libraries in their schools. They don’t have anywhere to choose a fictional piece of fun and sit down with it! Okay, well some of them do. We’re getting there. Slowly, but surely. That’s what Link have been working on with their recent Libraries & Literacy project. 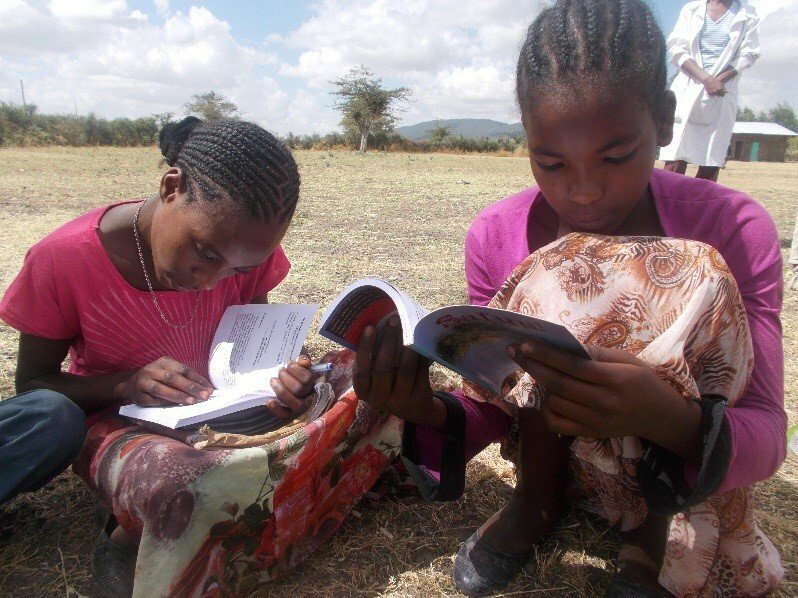 The project involves going round the schools, building a library if there’s not a free room, donating books, and setting up a library-level reward scheme. So, what’s the benefit of getting libraries set up in these schools? Well, not only does it give kids a place to go and pick out a book to explore, but it’s also a place where kids can go to study and carry on learning outside of class. “Oh, great, yet more studying!” I hear you thinking. Well here’s the thing: kids in England, they don’t really want to be in school, whereas kids do. My afternoon class was originally scheduled for one hour, but the kids asked for longer so we’re now on one-and-a-half. These kids are keen to learn! What did we all get up to on the weekend? Studying. What are you going to get up to now that we’ve finished class for the day? Studying. What will you get up to when you’re home tonight? Studying. They study too much if I’m honest with you, but it’s good to see them so keen to learn new things.